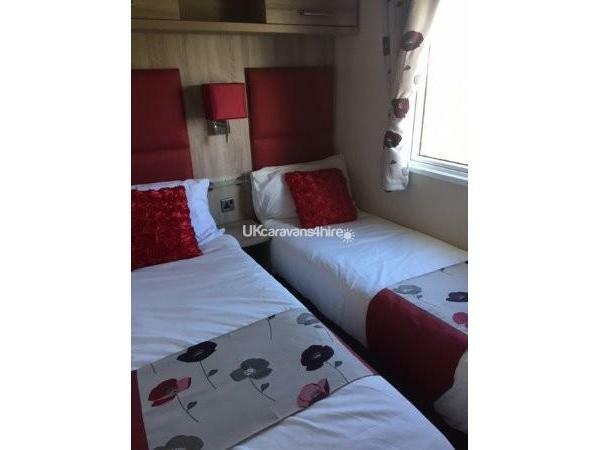 Additional Info: Caravan also includes: additional en-suite wc, TV with freeview, garden table, chair and parasol set, mini ironing board, hairdryer, kettle and all full kitchen utensils from cutlery to pans, outside light, smoke and carbon monoxide detectors, free of charge travel cot, children's board games. £50 non refundable deposit required before booking will be confirmed. Full holiday cost is due 4 weeks before start date of your holiday. 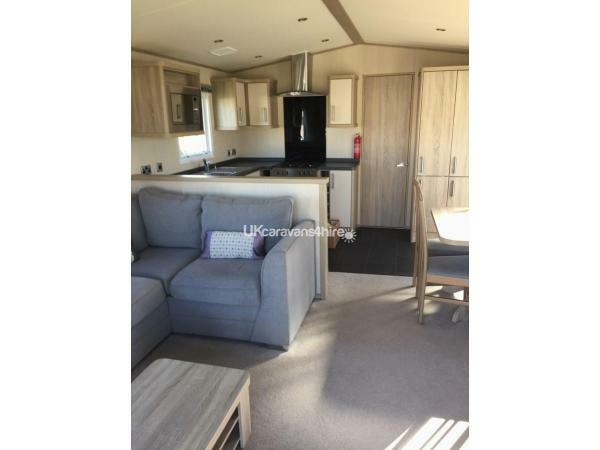 £50 deposit will be returned to you once caravan has been inspected for any breakages or damages. 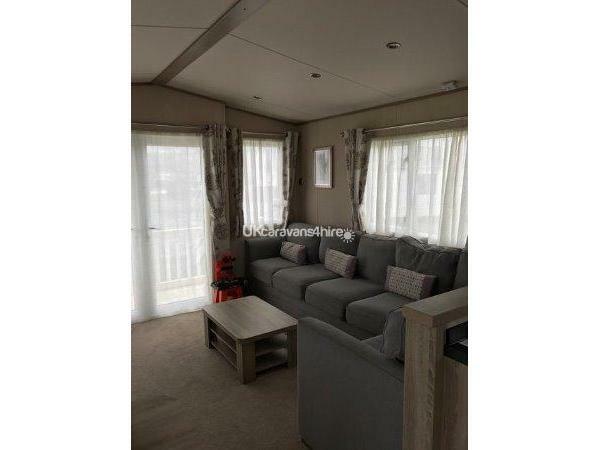 We have recently upgraded our caravan to Havens Prestige with decking category and have had all carpets, curtains and upholstery freshly added. We have had all brand new carpets for 2018 season. 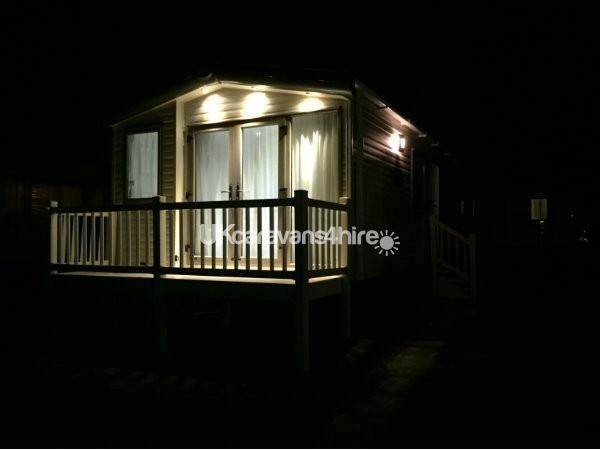 Our caravan is situated in a quiet area of the park close to all of the amenities, all less than a 5 minute walk away on easily accessible pathed, well lit walk ways. 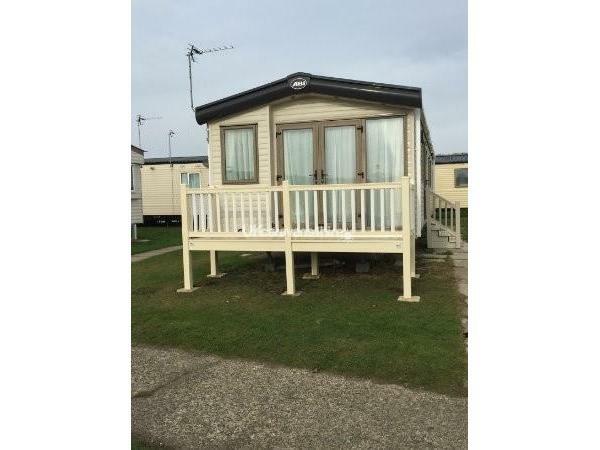 Car park is situated infront of the caravan making packing and unpacking easy. 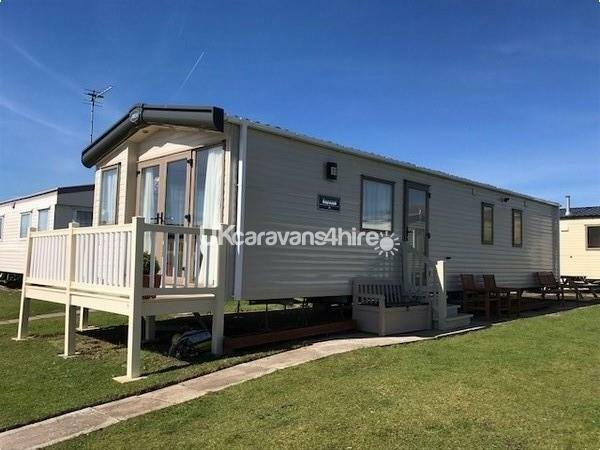 The caravan lies on a quiet plot overlooking the beautiful welsh hills with uninterrupted views. There is a private 4 foot decking area with table and chairs for you to enjoy the views in the sunshine. 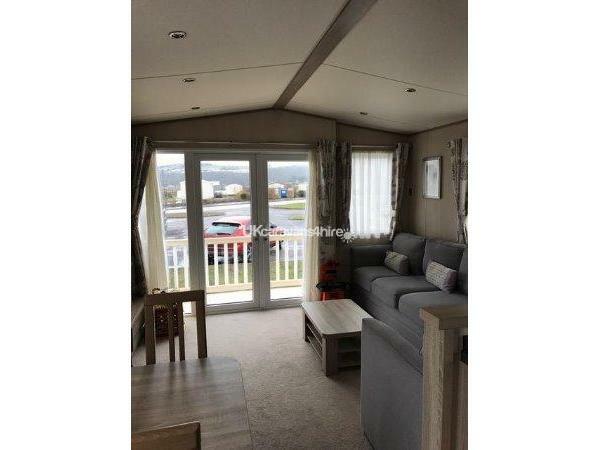 There is direct access to the beach right behind the caravan. We have provided children's board games, activity table and dvds and I also have a travel cot available free of charge if needed during your stay. All pillows and quilts are provided so all you need to bring are your own bedding including sheets, quilts and pillow cases, towels and tea towels. All beds have disposable protective mattresses provided. 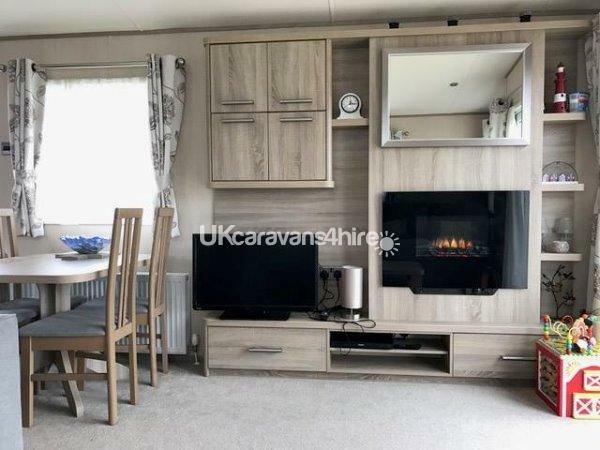 Caravan has radiators providing central heating in every room with full double glazing and an electric fire in the lounge. All 3 bedrooms have a freeview tv/dvd system. Gas, electric and water are included in your holiday cost, however park passes will need to be purchased separately at the parks reception which I can help you with before your holiday. A £75 non refundable deposit is required at the time of your booking to confirm your dates. Your holiday cost is due in full no later than 4 weeks before your holiday start date. Your £75 deposit will be returned to you once the caravan has been inspected for any damage or breakages and the key has been returned. If any of the above do occur deposits will be retained. You can check in from 2pm on the day of arrival and you must vacate the caravan and return keys by 10.30am on the day of your departure. this area is both comfortable and relaxing with an electric fire, freeview large flat screen TV, DVD player, children's games and stunning uninterrupted views of the welsh hills. Double patio doors lead out onto the spacious 4 foot decking area. Underneath the seats there is a brand new comfortable fold out double sofa bed. 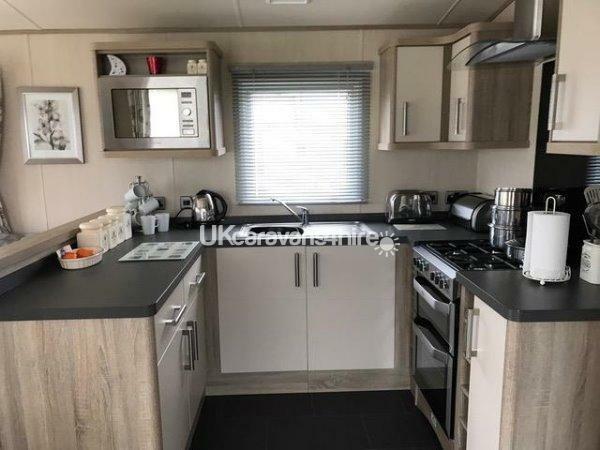 well equipped with a 4 burner gas cooker, slow cooker, kettle, toaster, microwave oven, pots and pans, cutlery and built in full floor to ceiling fridge freezer. this open plan area has plenty of room to enjoy a nice family meal with table and 4 chairs, along with 2 spare leather stools. 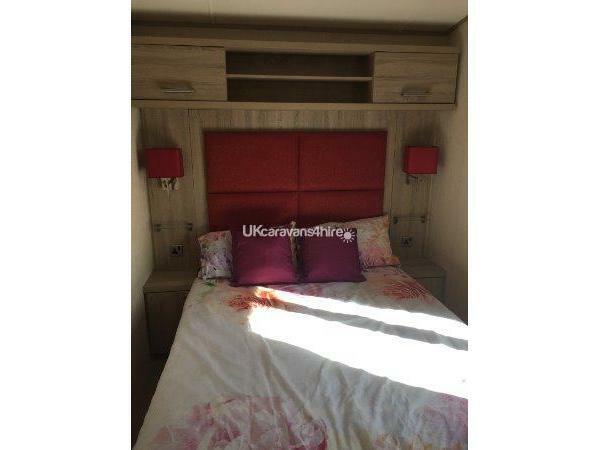 double bed with side tables and shelf storage and a triple wardrobe with drawers and a dressing table and freeview tv/dvd player and a single radiator. Seperate ensuite with basin, radiator and WC. 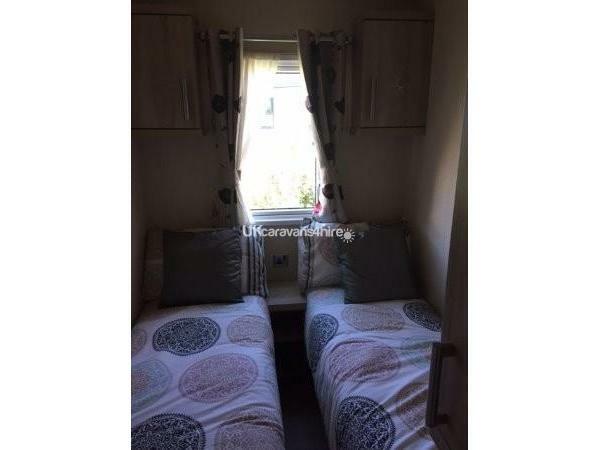 both are twin rooms with 2 single beds in each that can be pushed together both have a freeview tv/dvd system along with a shelf storage and wardrobes in each room and a single radiator. 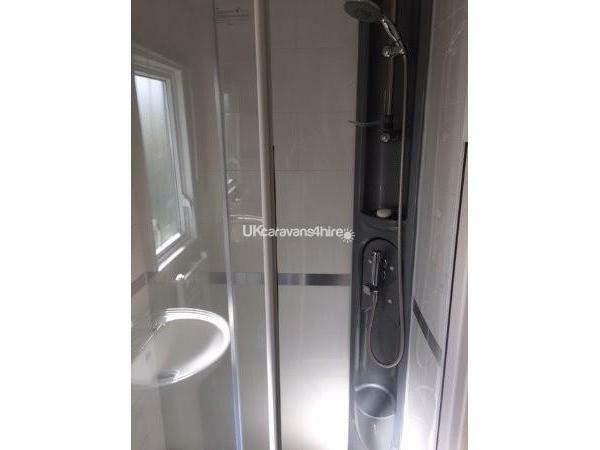 WC, large shower, basin and storage space along with a full chrome rail central heating unit. Presthaven park is amazing for all the family and the activities and facilities are endless. Free Wi-Fi access in all public communal areas. Presthaven has various direct access decked pathways to the sand dunes and sandy beaches of lower Gronant. This park along with our lovely caravan are ideal for either an action packed holiday away or just a relaxing well deserved break. Please contact me direct for prices and availability. Additional Info: Amusements only require a pass after 6pm, water sports and organised sports activities, bike and cart hire. Direct access to the sand dunes and beach.